Team of ABC Postpartum Doulas circa 2010. Just one option in the world of care for new families, but a role not to be overlooked! Do you dream about becoming a doula or midwife? Do you think birth is the most exciting thing on earth? Do you have a special touch with babies or do people call you the Baby Whisperer? Are you curious what options there are for someone with your unique traits? Have you experienced the support of a birth professional which inspired you to become one? Did you have a fantastic birth and want others to achieve one too? Or did you have a tough time and want to serve others in a way that cushions their experience? Does your family say you should be a “dula” (or Abdullah/doola/dulla)? Do your friends all call you with their questions, and everyone knows you are the ‘go to’ person for pregnancy, birth or breastfeeding concerns? Confused about all the different roles and how you can get training to do your chosen path? If you are considering becoming a birth worker but youhave questions about what each path consists of, what tasks are performed, and what training is required, read on. This is a basic overview for potential birth workers and for parents/expectant parents who are hoping for some clarity on defining each role in this often confusing world of birth and family support. If you want to add to my definitions, please comment here and I will add your input. My goal for this post is to be a resource for women who want to enter the profession, but are overwhelmed with trying to figure out what is best for them. If you are already a birth professional, please add your definitions--especially if I left something out! I will be adding to this as input comes in, so I welcome your feedback. I might not provide the exact definition that your organization claims, so please let me know if I am missing the mark so I can make the most comprehensive description possible. I will begin with the most common professional role to support women during the childbearing year. A professionally trained woman who provides emotional, physical and informational support during pregnancy, birth, and the immediate postpartum hours. Services are on call for weeks before and after the due date, and usually include prenatal visits to prepare for the birth, attendance during labor, and some postpartum follow up as well as other services such as attendance (or teaching) childbirth classes, birth photography, birth story writing, and various other keepsakes or services offered individually. No medical or clinical tasks are performed, and a doula works collaboratively with medical professionals helping clients self-advocate while providing gentle care and supporting their choices. A professionally trained woman who comes to care for the family after the birth or welcoming a new baby into the family. Can be a few visits or ongoing for several months during the 4th trimester. Services are scheduled in advance, can be day or overnight, and include care for mother, infant(s), older siblings, partner, grandparents or pets in the home. Typically services include physical and emotional care for the mother, infant care, and practical tasks such as dishes, laundry and meal prep. Postpartum doulas don’t drive family members, provide childcare without parents present, or perform any medical or clinical tasks. The midwife is a trained medical care provider who assists with pregnancy and delivery and immediate postpartum. She performs all the medical tasks needed for a safe birth, and gives instructions to nurses, midwives assistants, and other healthcare providers. Midwives can be RN’s as well (the CNM is both midwife and RN) or a certified professional midwife, lay midwife, direct entry midwife, and each credential carries a different educational path and the breadth of services are related to education and specific to that credential. Services can be performed in a hospital, birth center, clinic, or at home, depending on the licensure and certification the midwife holds, and the legalities vary by state. The monotrice is a blend of the midwife and labor doula, however it has its own category of services. While they provide doula services, they also have additional training and their scope includes vaginal exams, blood pressure checks, and other clinical tasks that doulas do not perform. Some are midwives, some are RN's, and others are doulas with additional training, but the designation varies by state. The lactation consultant is an allied healthcare provider offering support services for breastfeeding. She supports the breastfeeding mother and infant(s) and offers a care plan that can be communicated to medical care providers, and other support services to help the mother achieve her breastfeeding goals. The IBCLC does not have prescriptive power, so cannot prescribe herbs or medication, but she can educate families on their options for herbal or medicinal support with lactation, as well as drug interactions of other prescribed medications. Services are provided in hospitals, clinics and home, and consist of hands-on support as well as education and occasional sales of breastfeeding related products. Some prefer to teach or do a combination of teaching and caring for families directly. Here are some of the teaching roles that birth workers offer. A childbirth educator teaches classes prenatally to expectant parents, either in a hospital, birth center, clinic, or private setting. The classes they offer focus on labor, birth, the immediate postpartum period, and occasionally newborn baby life or establishing breastfeeding. 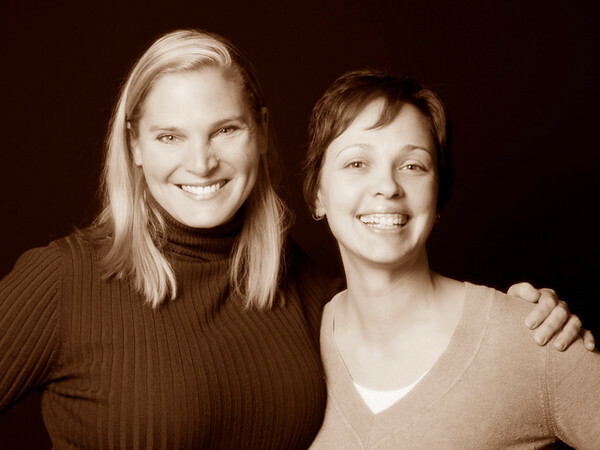 Childbirth educators are certified by ICEA, Lamaze, CAPPA, Childbirth Intl. and some other specialty programs including Birthing From Within, Hypnobirthing, Bradley Method, and many more. Depending on the institution that is offering the classes such as hospitals, birth centers, etc, different certifications are preferred or approved and others do not qualify. This is a specific certification for educators who teach breastfeeding classes prenatally, and educate families about newborn feeding. The lactation educator does not do breastfeeding consultations, but does serve families to educate them on their options and help them through breastfeeding struggles. The biggest difference in the educator role vs an IBCLC is that there is no hands-on help provided to the breastfeeding dyad, and the lactation educator does not create a care plan for other healthcare professionals. A lactation educator can be employed by a WIC or other outpatient type clinic to support families but they do not do consultations. There is currently no certification for a breastfeeding peer counselor, but many other professionals qualify for this role including; IBCLC, CLE (registered trademark), or other local trainings specified by the clinic offering the job. WIC is one common location that hires peer counselors, but other local organizations can also offer these positions. Postnatal educators are currently certified only by ICEA, and the program is no longer being offered (although certifications are being supported ongoing). 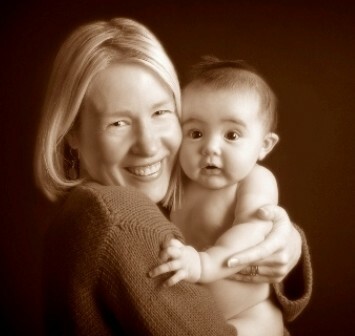 A postnatal educator teaches group or private classes, prenatally or postnatally, about newborns, parenting, feeding, and adjustment to family life. Some teach new moms groups and others provide hand-on support with a new baby in a home. Certifications provided for placenta encapsulation are currently offered through Placenta Benefits International and the Association of Placenta Preparation Arts, but there are many others that are popping up. Although some practitioners operate without certification, it is not recommended to have an untrained or uncertified person prepare the placenta due to potential bacterial contamination. Encapsulation specialists prepare a woman’s placenta in a home setting (usually the client’s home) and use a process of cleaning, steaming, dehydrating, grinding and containing the powder into capsules. As families are adjusting to the lack of sleep a newborn brings, a new role has emerged. Offering sleep consults can be a service that many other birth workers add to their offerings, however there are also those who specialize in the world of infant and young child sleep, and work exclusively with families who are struggling. This can take many forms, but the most common is an experienced care provider who supports families through consults in their home, over the phone, or on video conferencing/Skype. There are few certifications amongst sleep coaches and this industry is largely based on client experience rather than certification or licensure. Although many professionals work with teens, only CAPPA offers a specialty certification program for working with this unique population. Teen support specialists might work with teens in early or late pregnancy, during labor, or in the postpartum period to support early parenting. Many professionals work with pregnant women in movement, but the Pregnancy Fitness Educator role is a specific certification of CAPPA that is designed for the pregnant population. This certification qualifies the educator to offer classes and support women through movement and education in the perinatal period. 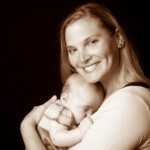 A Certified Birth and Bereavement Doula is specifically trained to work with families birthing in any trimester. This can include early pregnancy loss, or second/third trimester loss. Bereavement Doulas also work with families experiencing stillbirth, or in cases of life-limiting diagnoses. They are experienced and adept at birth planning and provide options for all types of births and make opportunities for memory making for families. The can help facilitate, celebrate and recognize the existence and importance of babies including taking photos, prints and molds for families to cherish their baby even after they are gone. Some birth workers work specifically with babies, and others with mothers and families. Here are some that are more oriented towards newborns or older babies, that support the parents by caring for babies so they can rest or work. This group goes by a wide variety of titles, and can be confusing to parents and other providers. The role of the NCS generally provides baby care for new parents, particularly at night while parents rest, but also can be done in longer (even 24 hour) shifts. There is a teaching aspect to some NCS’s role and others provide care while parents are absent or otherwise occupied. No specific training is required for this role, however many NCS’s are trained, certified, and also have years of experience. Some will travel with parents and some even live in the home for a period of weeks or months. The key with this role is that baby care is the goal; the NCS doesn’t usually care for the mother, the older siblings, the home, or manage things other than the baby. If you are someone who loves babies and does well taking instruction from others, adapting to their schedules and needs, and can swallow your ideals about babies always being with their parents, this might be a great role for you. Nannies also vary wildly in their qualifications and responsibilities. Some professional nannies have years of experience, training and possibly graduation from a nanny school or have other certifications/degrees in early childhood development. However, many are new to the profession and offer less experience or formal training. As with NCS’s and babysitters, nannies typically come to care for children in the absence of parents. They may offer parents knowledge from previous families or evidence-based information. However, many nannies simply comply with the wishes of parents and are not in a teaching role. Sitters are usually short term and part-time caregivers of children; babies included. For this definition, we will stick to sitters for babies, as the requirements for a sitter for older children can vary wildly. The key with this position is that the parents are not nearby, and the sitter is being relied on for her ability to care for infants without needing input from the parents. This role needs to be able to make decisions in a potentially stressful environment. No formal training for this role exists. Although most have extensive experience with young children, you might have to look harder for someone with experience with a newborn or twins. A mother’s helper is not trained or certified; in fact, it can be a younger child who comes to support a mom with a baby or toddler. The mother is present during the visit, and the helper is hired to occupy a baby or toddler so the parent can get chores or work done. These are usually paid less than minimum wage and often are only employed a few hours here and there. For those who have asked what I do, I am primarily a postpartum doula (CPD) and educator (ICPE), as well as a Lactation Consultant (IBCLC), however I have some awesome friends in almost every aspect of the doula world! We have many of these roles encompassed in our group at ABC Doula Services, however for those roles outside of what we can provide, we are happy to refer. Please comment if you have something to add and I will be sure to factor it in! Newer PostHair falling out after baby?